First of all, Happy December guys! The early days of December mark the start of the Christmas month and the official opening of the advent calendars! What better than waking up every morning to a piece of chocolate to celebrate the lead-up to Christmas? December is always a busy month for everyone, including me. I absolutely love the weeks leading up to Christmas as everyone is so happy and the nights are so cosy. One thing I particularly love is Christmas shopping! All you need is a hot Starbucks and a pair of warm gloves and you're good to go. 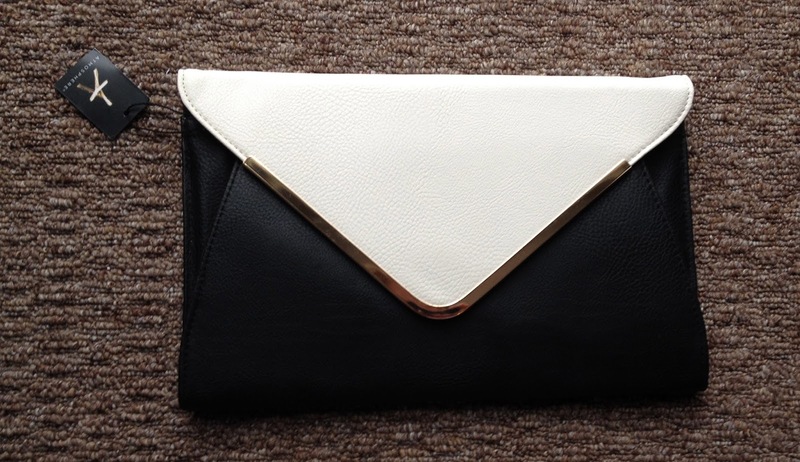 For just eight pounds I could not resist this gorgeous black, white and gold clutch. I love the fact that the chain strap is optional, and find that the gold mixed with monochrome creates an edgy look. 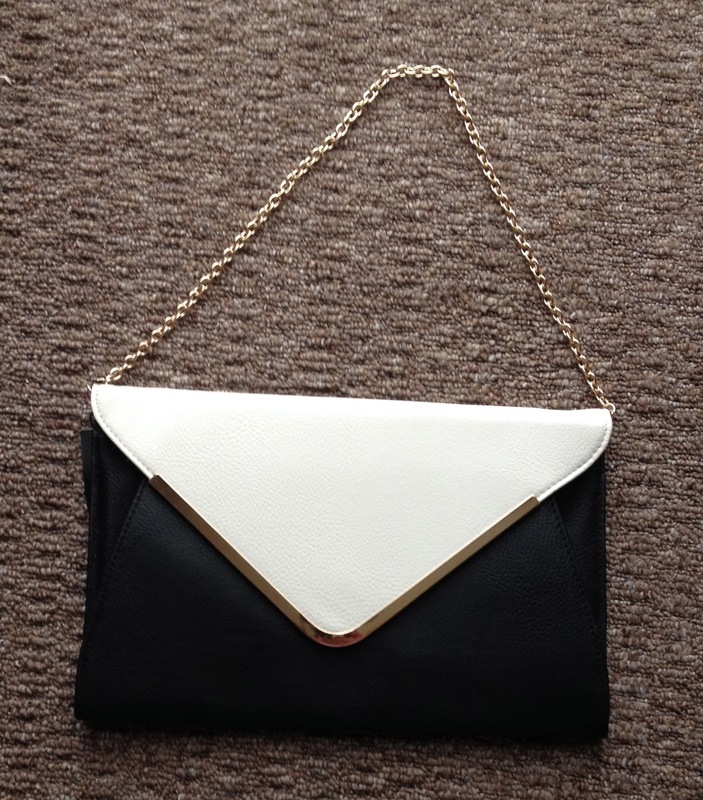 Elegant and classy, yet fierce and bold, this is one of my favourite purchases! 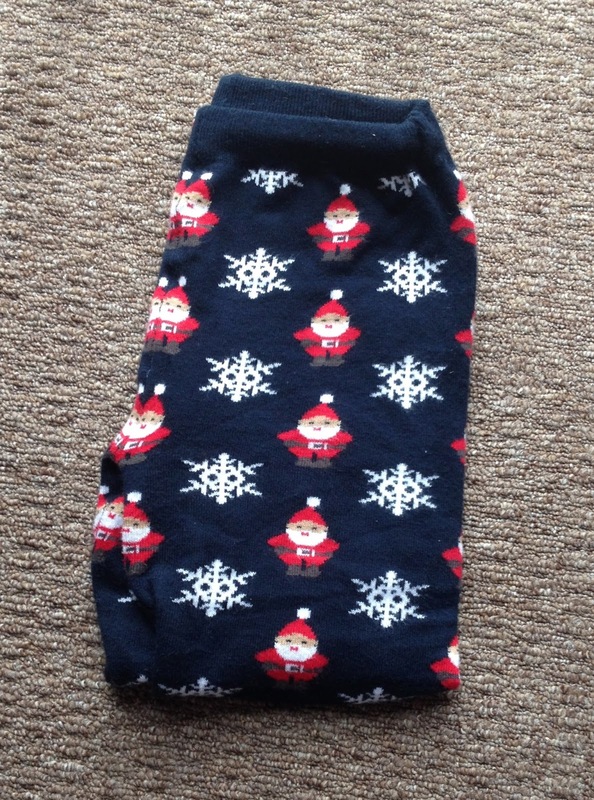 How cute are these leggings?! When I saw them I had to have them. 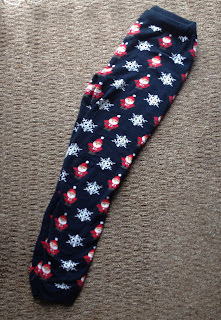 I purchased these leggings purely for lounging around and sleeping in during winter. They are so comfy and soft and I absolutely adore the cute print. 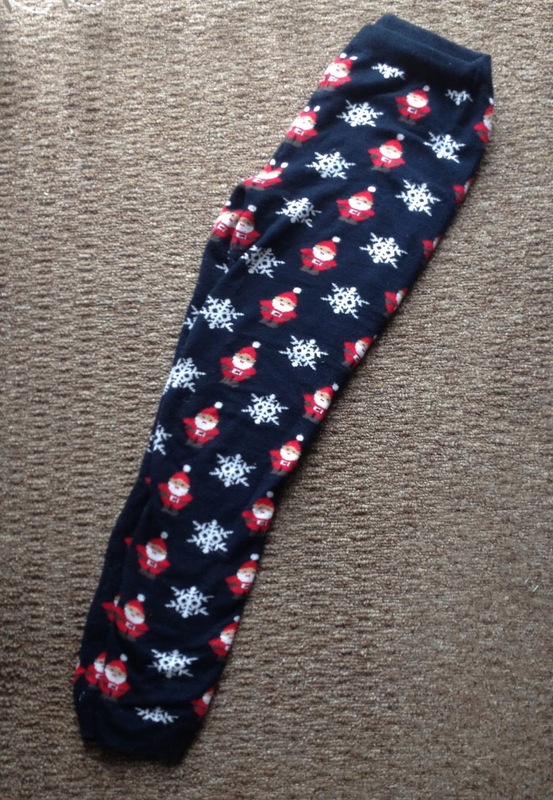 What better way to get into the festive spirit than with some gorgeous Christmas leggings?! 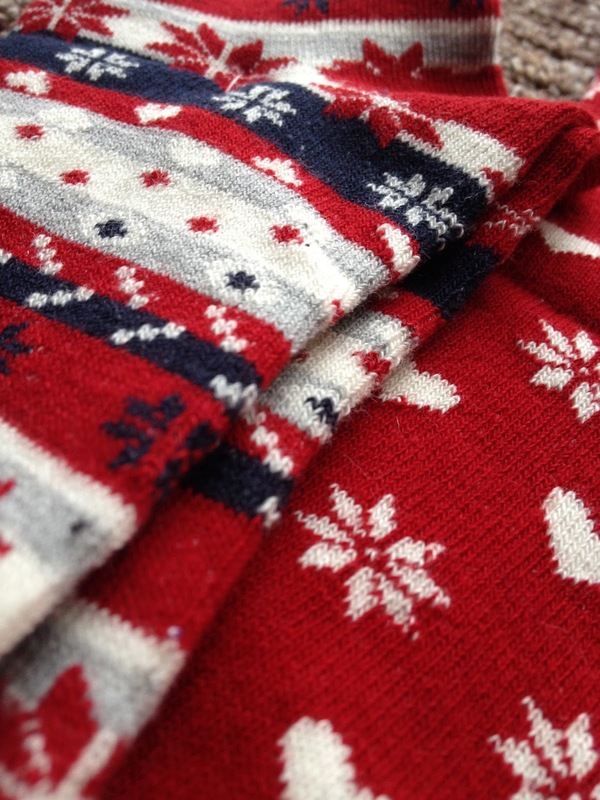 You'll probably find me still wearing them in July. Following in the theme of festivity, I also purchased these lovely patterned socks. 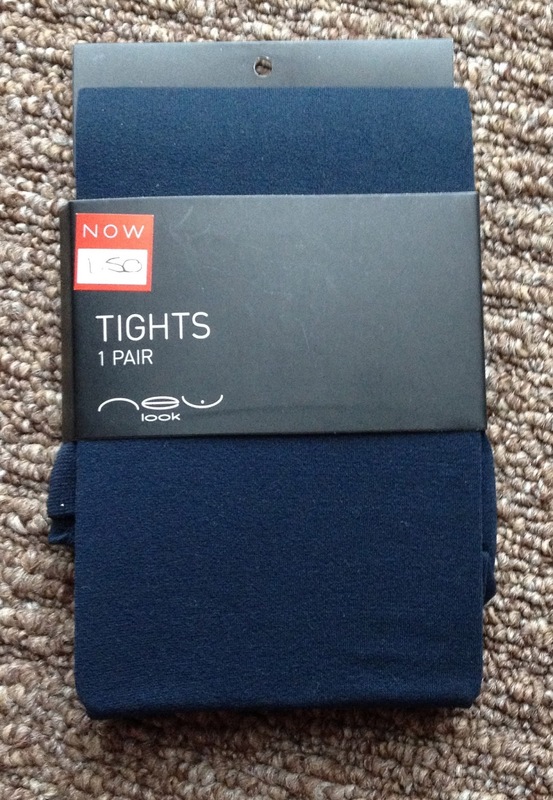 Yes, you read right, five pairs for just three pound! These are my two favourite pairs. 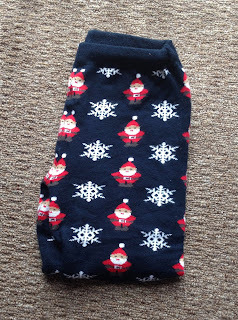 The quality of the socks is surprisingly great - the cotton is thick and they stretch to fit. 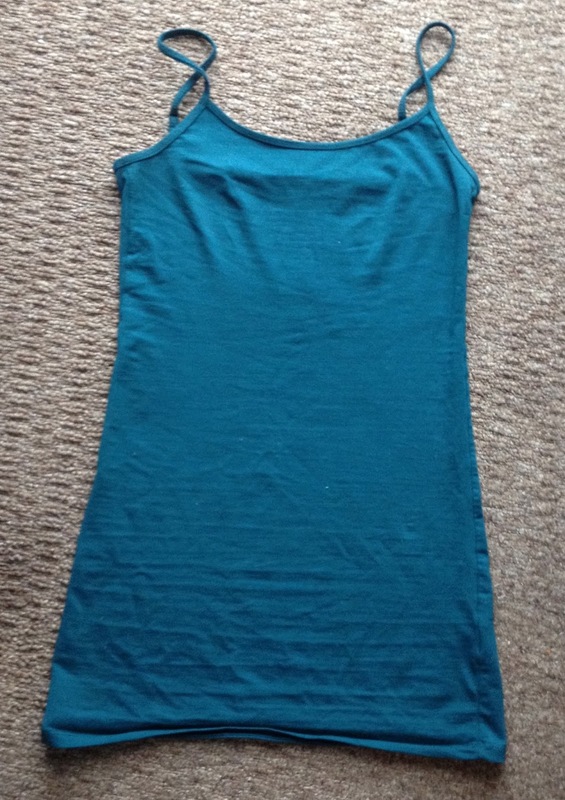 I picked up this long teal vest top with string straps for just three pound. I love the colour as it matches pretty much everything in my wardrobe! 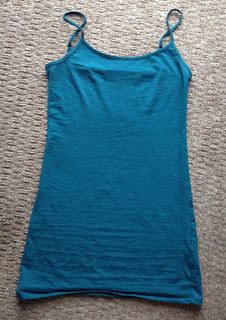 Whenever buying vest tops I always find that they are not long enough to wear with leggings or tights. This vest top, however, changes everything! 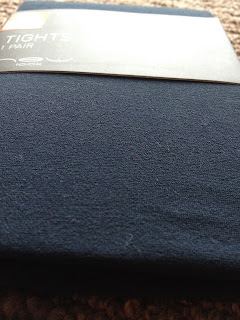 The length allows me coverage when wearing leggings/tights and also keeps me a lot warmer during these cold winter months. TIP: Can also be worn as a Cami Dress. Just add jewellery, a blazer, heels and tights (optional) and you're good to go! I have lived in these slipper boots ever since purchasing them! 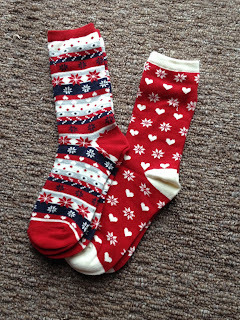 They are super comfy and do a great job of keeping my feet warm. I especially love the fur lining and checkered bow - little things make a big difference! 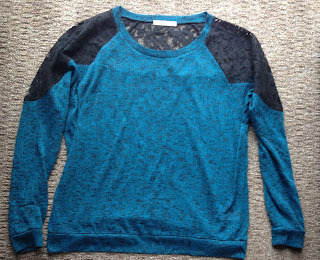 I love this top to bits, mainly because you can wear it casually with a pair of jeans or dress it up for an evening out. 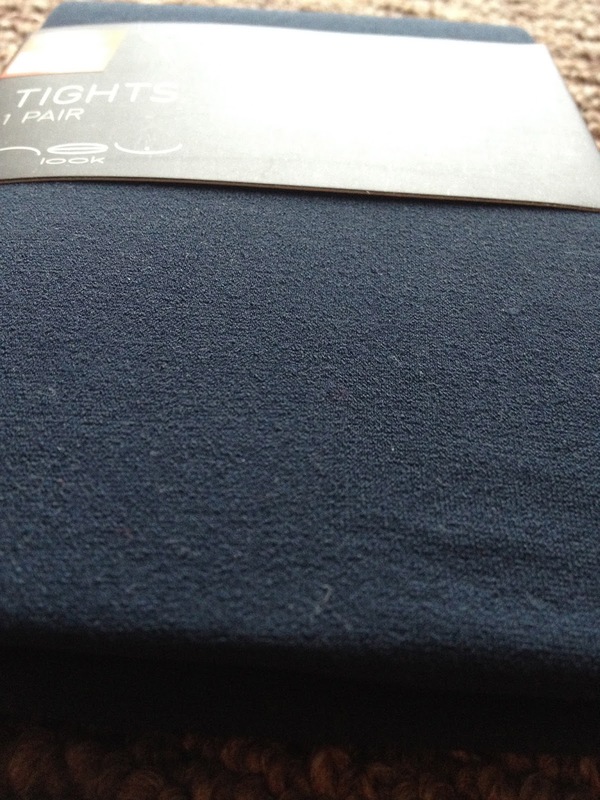 The cotton is soft and comfy and the colour, once again, is perfect for my wardrobe. I expected the lace to be itchy however I rarely even notice it's there! This is definitely one of my favourite purchases. 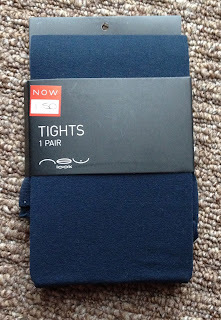 Being the bargain hunter that I am, I whipped these lovely tights for just £1.50! You can never go wrong with a pair of tights and some ankle boots in winter, so I thought they were rather essential. 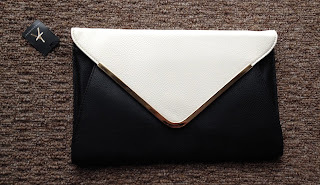 I love the dark colour as they go with anything, and they are super stretchy too, allowing them to fit perfectly. 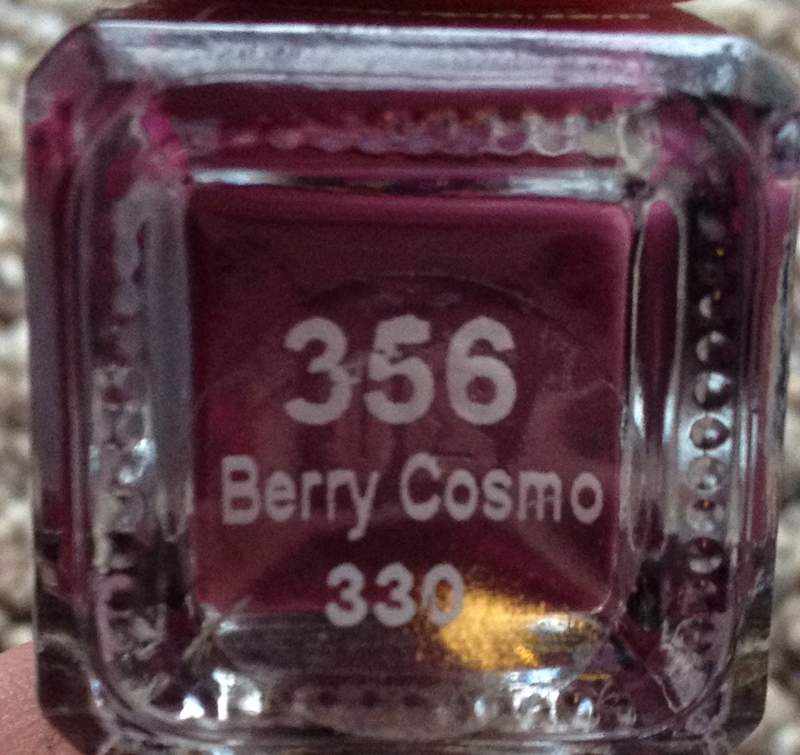 My new official favourite nail varnish! 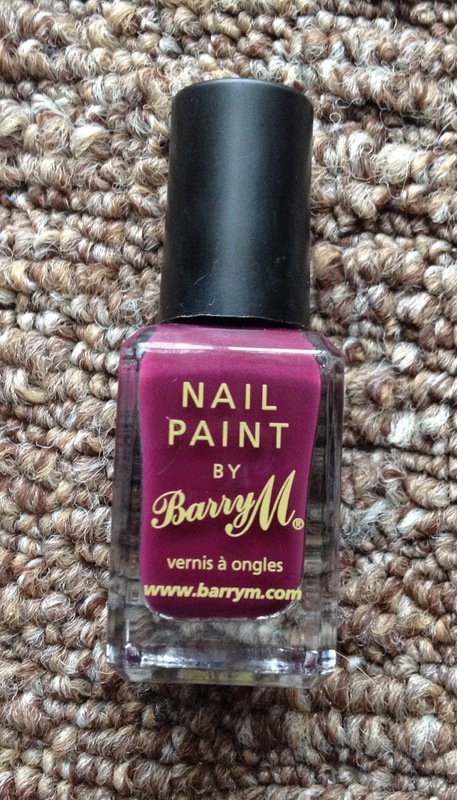 I've always been a major fan of Barry M's range of nail paints and this is my favourite yet. I bought the Berry Cosmo  shade as I thought it was the perfect colour for winter and, as you all know, I really do love berry shades. The nail varnish is long-lasting, glossy and doesn't take long to dry - just what I need! 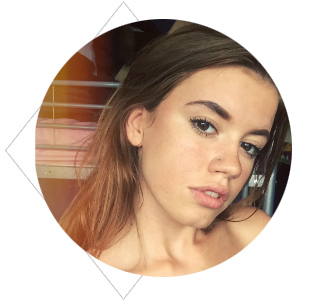 I have been needing a new liquid eyeliner for ages and decided on Rimmel's Exaggerate liner. The brush is almost like a pen and creates soft, clean strokes. 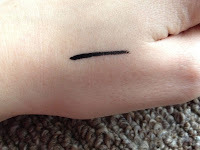 It's easy to use, stays on for a long time and does not crumble off like other liquid eyeliners I have experienced! 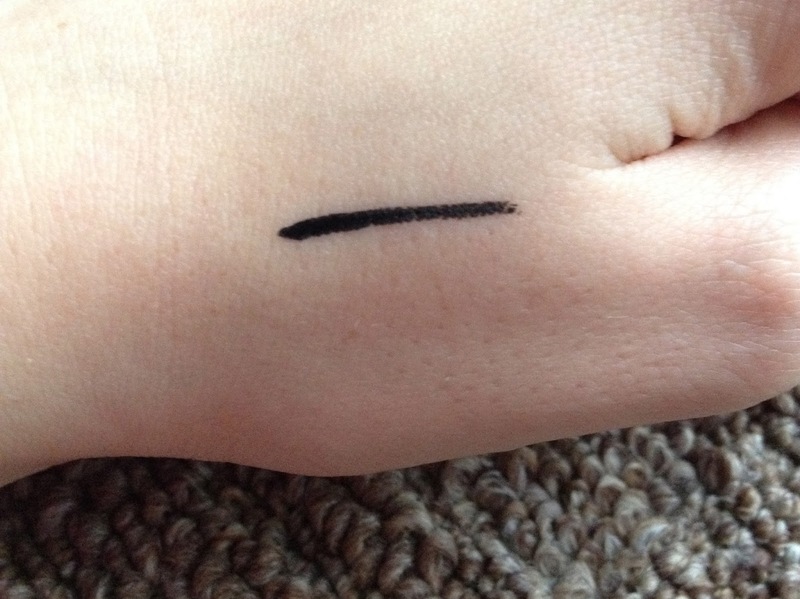 I'd rate this eyeliner a good 5/5. I have a slight obsession over lip balms, mainly because my lips get chapped and dry really easily. 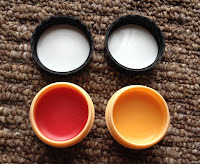 These adorable little pots of lip balm smell good enough to eat! 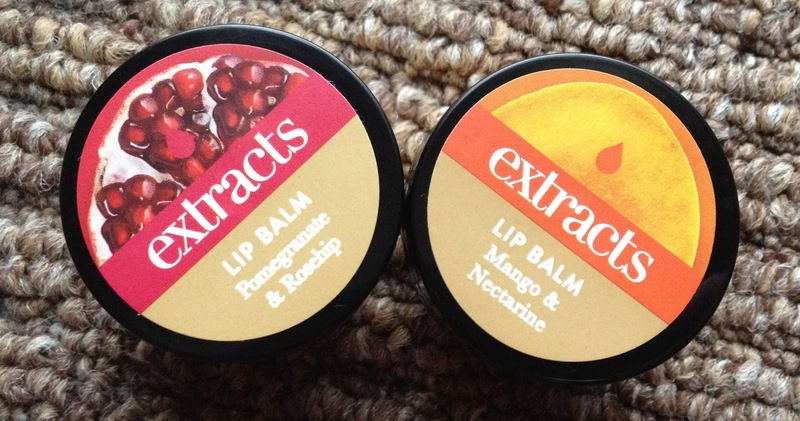 My favourite is the Pomegranate & Rosehip flavour, just because it smells so delicious and I love the red-ish tint. 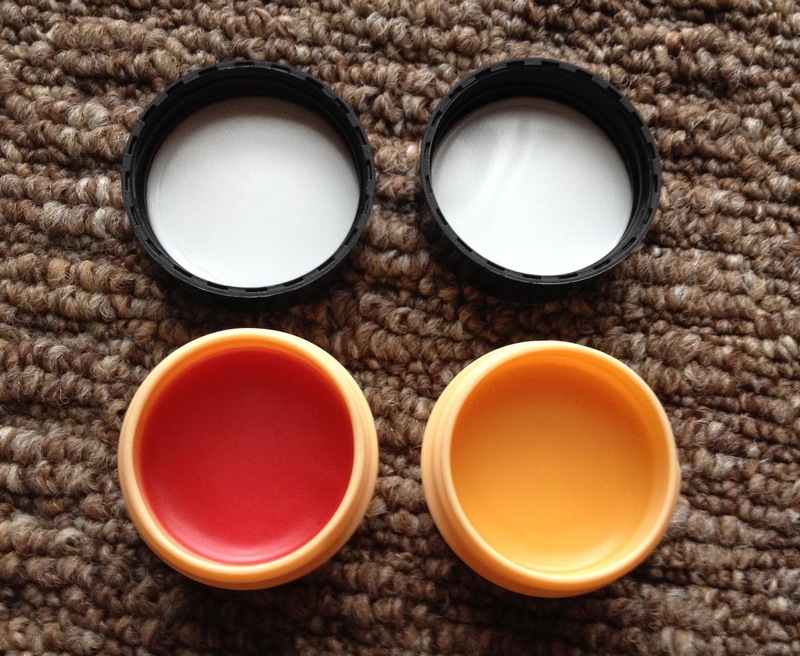 The pots are also small meaning you can pop them in your handbag and carry them round all day to re-apply! 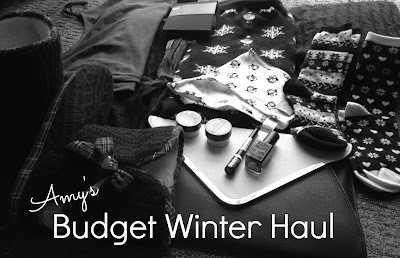 ...And there you have it: shopping on a budget! Thanks - I know, its a must-have! I have those slippers on after I purchased them today! Good taste ;) the socks are also so cute!! Oh I LOVE the Christmas socks and that bag!! Fabulous finds, darling! I'm your newest follower!